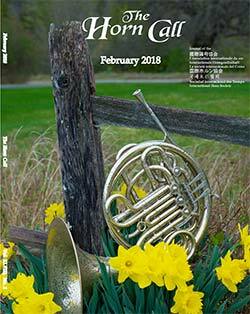 The Horn Call, journal of the International Horn Society, is published in English. Articles written in another language are printed in that language with an English translation. Three journals are published annually: October, February and May. The journal typically includes membership news, workshop reports, feature articles, a variety of clinics, biographical sketches, music and recording reviews, and advertisements for horn-related products and services. There are designated editors for each of several regular journal columns.